Rupert Holmes shares a few of his suggestions for anyone looking for a £50,000 cruising yacht. 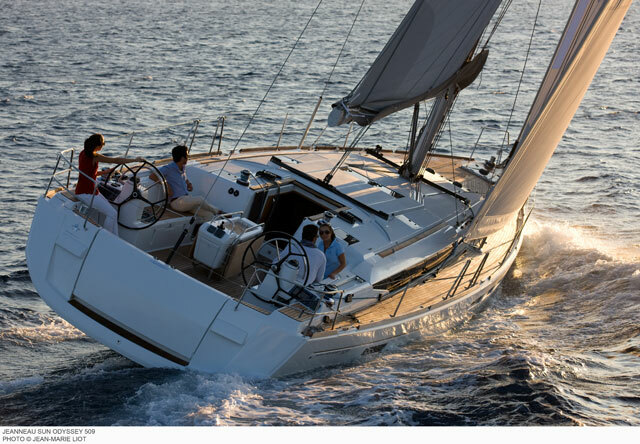 Looking for a cruising yacht around the £50,000 mark? This guide gives you some of the popular options that might be worth further investigation. Fifty thousand pounds is a value that gives a huge amount of choice on the secondhand yacht market, ranging from very recent smaller boats at around the 30ft mark, up to older vessels of closer to 40ft (for some instant inspiration, see: 30 footers with amazing accommodation). As ever, it’s important to ensure there’s ample reserve in your budget to upgrade gear and equipment. The larger and older the vessel, the larger this contingency needs to be – in many cases this will rule out boats over 40ft, even if asking prices suggest they may come within the budget. The 1980s cruiser-racer, the Sigma 38. Although seen as relatively racy at the time – one design fleets of 70 boats used to compete in Cowes Week – in today’s terms this cruiser racer from the late 1980s is a moderate design with ample displacement. While the large rig helps light weather performance, this is a boat that also has a long-standing reputation as being able to take heavy weather in its stride. The accommodation is well configured, with three cabins, a single heads compartment, a decent galley and a proper chart table. 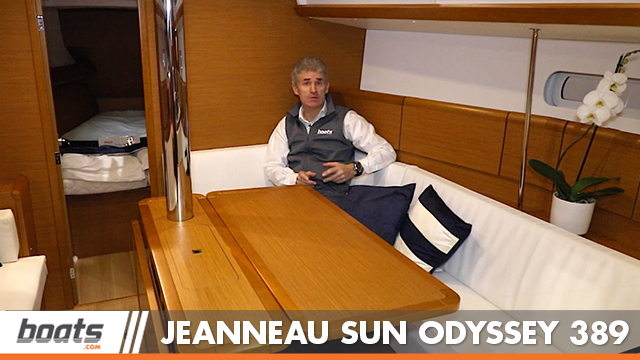 The saloon feels more cramped than that of many, however that’s primarily due to the pilot berths outboard of the settees that are excellent for stowage – a factor that’s all too frequently missing on more recent designs. 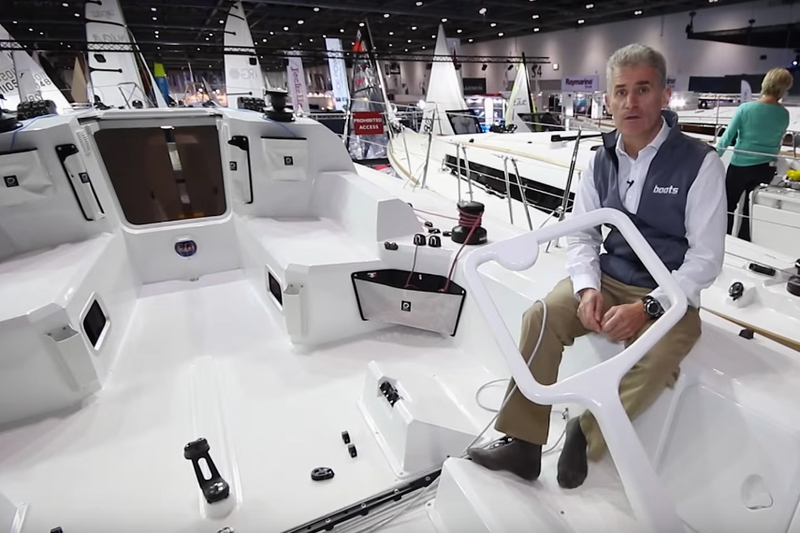 Overall this is a capable boat that’s suitable for spirited family cruising, inshore and offshore racing and long-distance voyaging. See also a short review of the less well-known Sigma 36: Five Classic Cruisers: Sigma, Rustler, Rival, Oyster, Moody. 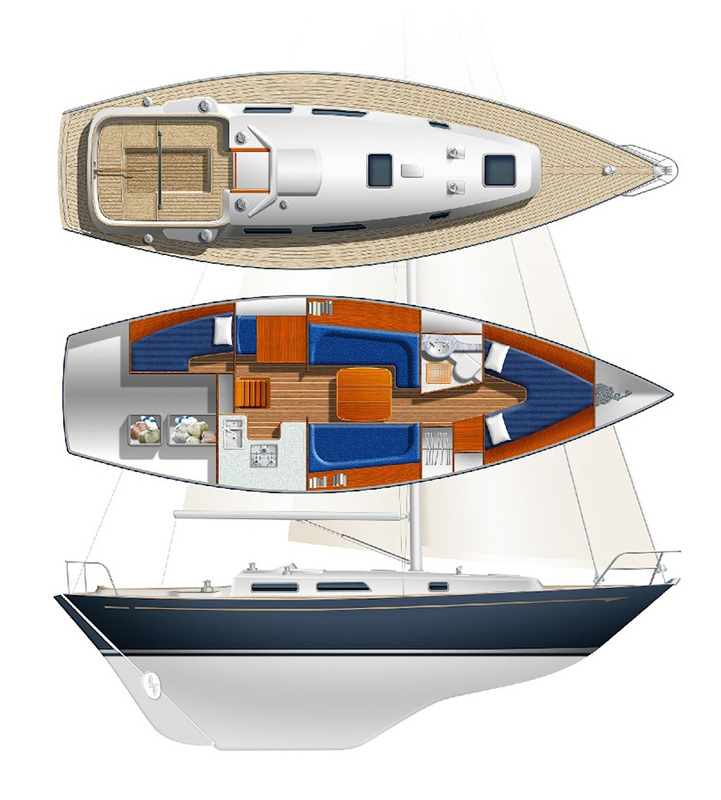 Southerly’s designs have always incorporated shallow draught, together with deck saloon type accommodation and an inside steering position. Originally dating from 1983, this 37-footer is a centre cockpit design with two cabins, two heads and a spacious saloon. 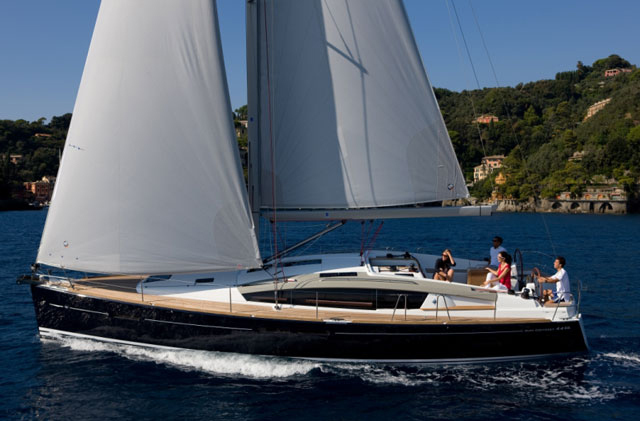 With the hydraulic swing keel raised draught is less than 70cm, which opens up a whole host of additional cruising grounds, while a substantial iron shoe in the bottom of the hull allows the boat to safely take the ground at low water. Sailing performance of earlier boats, particularly to windward and in heavy weather, does not match that of a deep keel design. However, Mark 3 versions have a Rob Humphreys designed deeper swing keel and twin rudders and are much improved in this respect. The 115 enjoyed a 20 plus year production run, although most boats were built before the early 1990s. These often change hands within the £50,000 budget, although many of the later boats sell for significantly more. 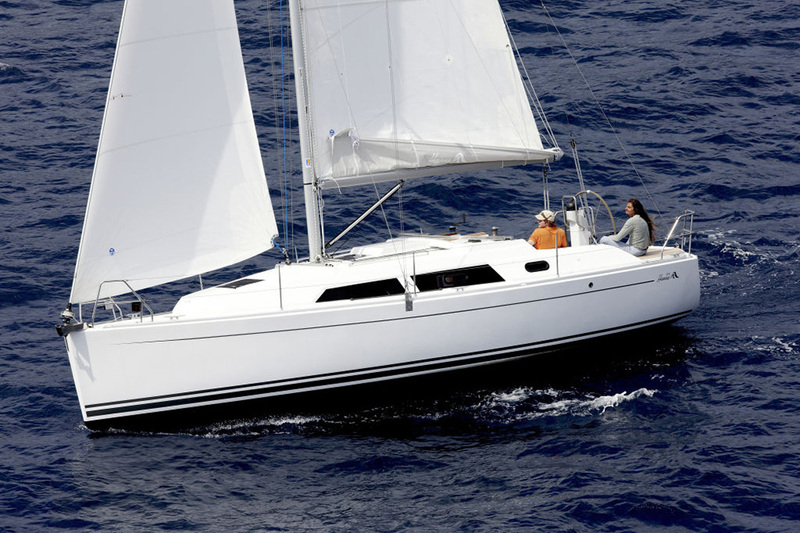 This Cornish built 36-footer is a design intended to be easy for a couple to handle when deep sea voyaging. A measure of its popularity is that it has remained in production since its initial launch in the early 1980s. In many ways it represent the ultimate evolution of long keel yachts, offering better handling, speed and comfort than its forebears. Nevertheless, the relatively narrow beam and finer ends mean the boat has less interior volume than we have now come to expect from yachts of this size. While the most recent boats will fetch significantly more than £50,000 on the rare occasions they change hands, earlier examples can be found within this budget. They are also a popular choice for competitors in the 2018 Golden Globe Singlehanded race. 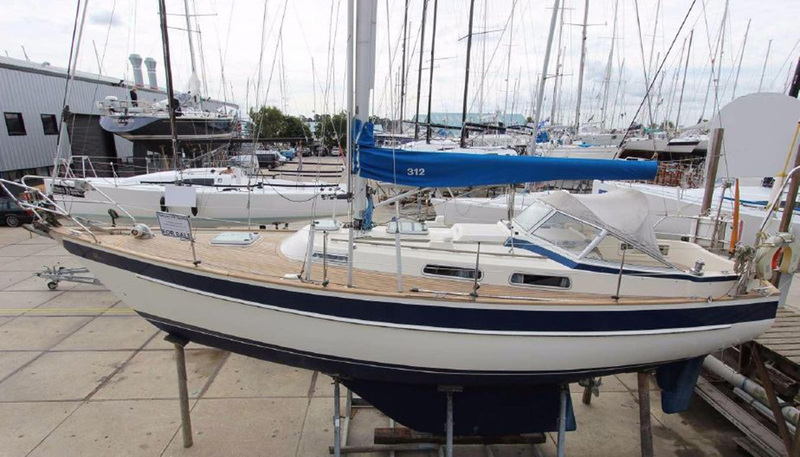 Here’s a photo of a Hallberg Rassy 312 that’s currently for sale. 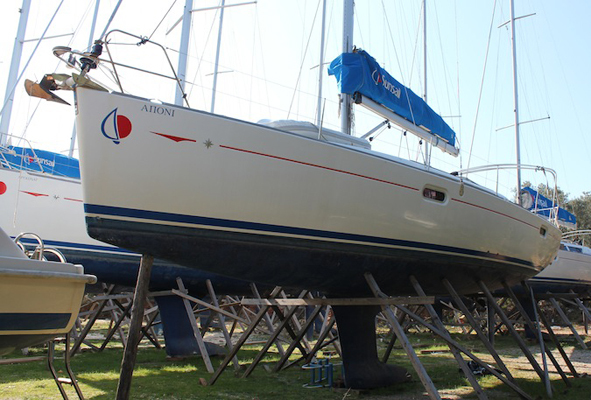 This is another long-running high quality design, built from 1979 to 1992, with almost 700 boats sold during that period. The Mark 2 model, launched in 1986 offers a number of significant benefits over earlier examples, including additional headroom, a more private heads arrangement, and a larger saloon. There’s also a significant difference in styling, with early boats having the saloon windows in the trademark Hallberg Rassy blue line in the topsides, whereas the later boats have conventional windows in the enlarged coach roof. In both cases the accommodation is in a traditional layout, with a quarter berth aft of a proper sit-down chart table. Watch for teak decks that are nearing the end of their lifespan as replacement is expensive, although the 312 is of an age that most boats will have had this work done already. A £50,000 budget should be sufficient to buy a later boat that’s in good shape. If you’re looking for a newer performance oriented design, this could fit the bill perfectly. 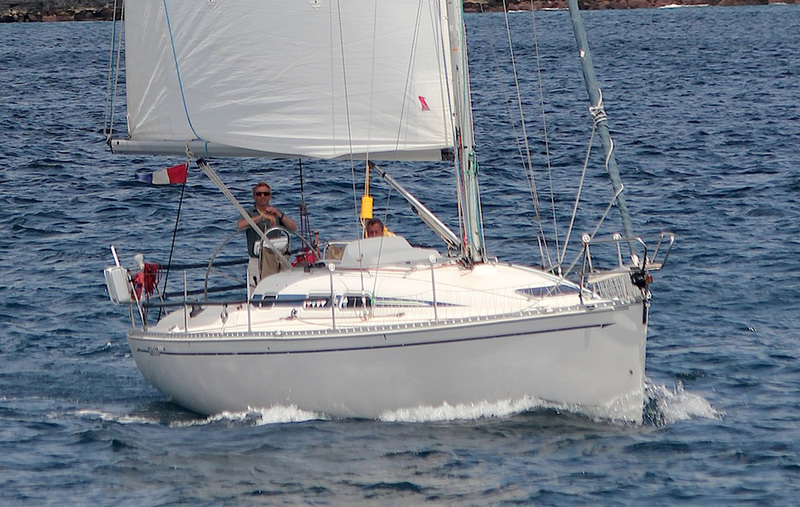 The Elan 333 was one of the earlier designs to have a low centre of gravity bulb keel, which increases stability without an accompanying increase of weight, although it lacks the chined hull and twin rudders that have recently become fashionable. 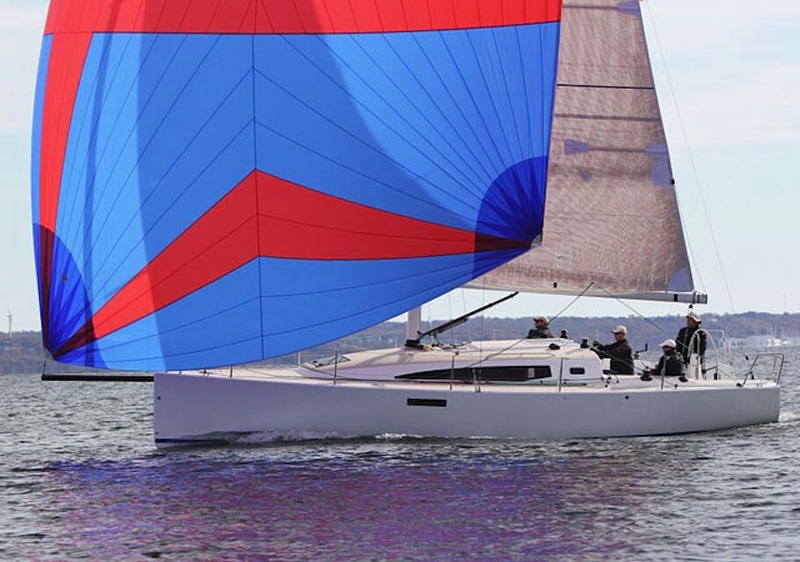 Performance is better than that of the other designs here, with the exception of the Sigma 38 – the larger boat is marginally faster – while handling characteristics both under sail and when manoeuvring under power are first class. Accommodation wise there’s a two-cabin layout with a bright saloon, aft heads compartment and a traditional forward-facing chart table. The £50,000 budget is also sufficient for a newer volume produced model such as this one, which was built from 2002 to 2006. The interior is brighter and more spacious than the earlier boats, with the broad transom allowing for an option of two double aft cabins. The forecabin is larger than that of the other boats in this selection, with good stowage and a respectable standing/changing area. 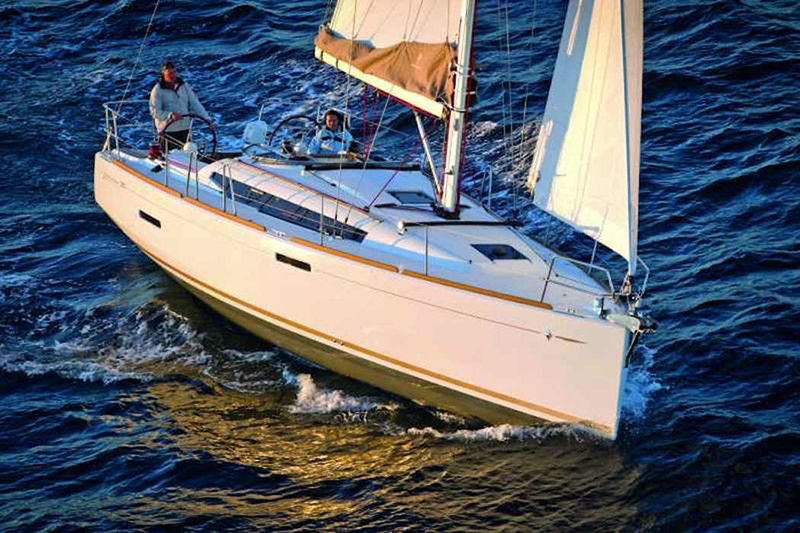 The Hanse 320 was in production from 2008-2010. If you hanker after a still newer boat this model, which was produced from 2008 to 2010, may fit the bill. It has a more contemporary feel than most of the other models in this list, while also providing comfortable accommodation for two couples. It’s also worth considering the Moody 346 that was built from the mid 1980s to early 1990s, or if you want a larger craft the older 39. 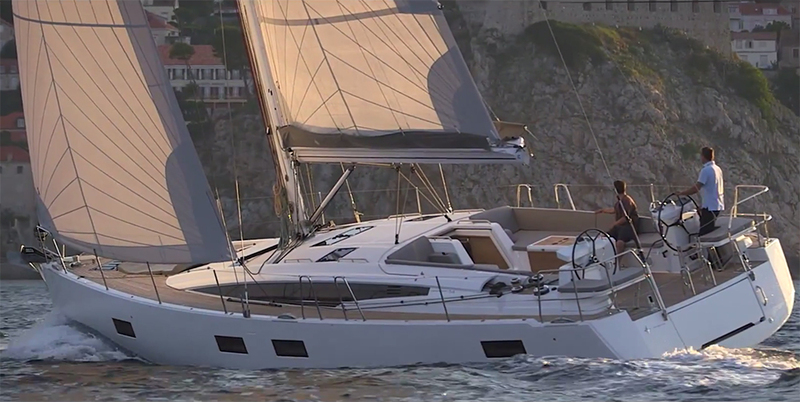 Beneteau’s Oceanis 323, which was built from 2004 to 2008 fits within the budget, as do larger but slightly older models such as the Oceanis 361 or the 390 from the original Oceanis line up in the 1980s.